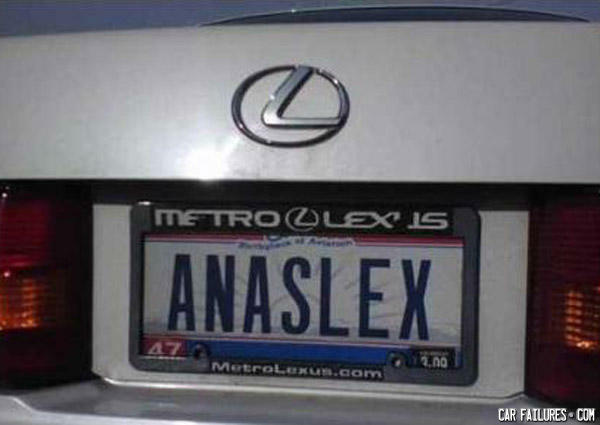 Must be her last name. Prepare to be tailgated by grammar nazis. You see what you want. How very Freudian of you! Weird, I was just tailgating this Lexus, and now I have an urge to go home and fudgepack my wife. I finally understand those t-shirts that read "Ohio is for Lovers"